If you haven't noticed, Birkenstock's style stock is soaring this season. It's pretty much out of control and we have only the catwalk to blame. Designer after designer sent slides down their runways for spring summer 2014 and the style obsessed insiders everywhere breathed a deep sigh of relief as the heels came down and models embraced a flat slip-on. Now we're spoilt for choice when it comes to options with wearing this raging trend. Do you go for the simple Birkenstock or do you embrace a more embellished strap across your foot? Do you toy with metallics or try on an animal print? 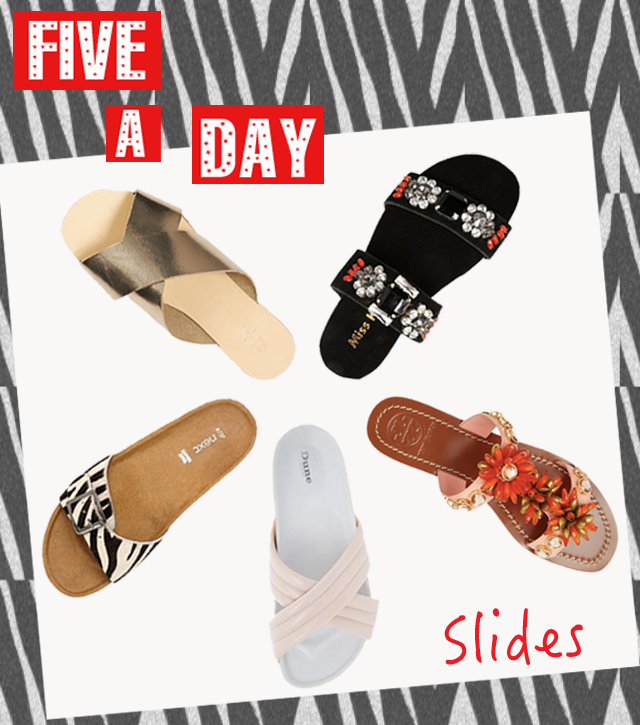 No matter what your style for the season, we have our top five favourite slides for spring summer 2014, ranging from super low-key to look-at-me. So here's the round up, from top left clock-wise above.